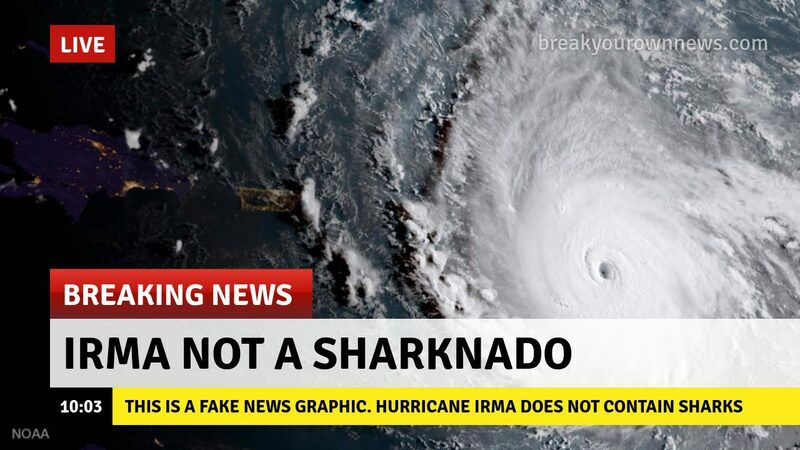 FACT CHECK: Hurricane Irma Now Contains Sharks? 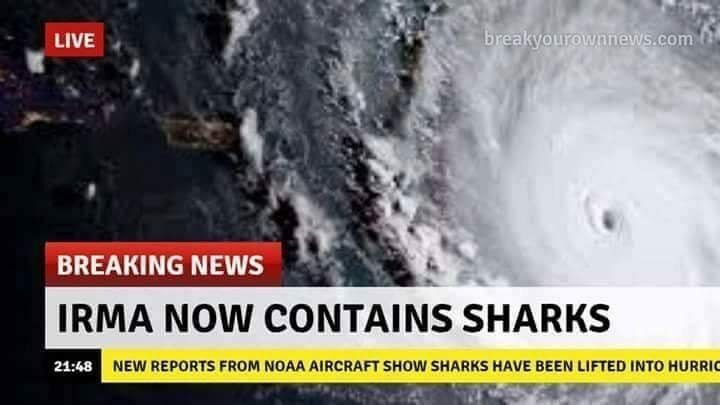 Does Hurricane Florence Now Contain Sharks? An image of a news ticker reading "Hurricane Florence now contains sharks" is a recycled fake. 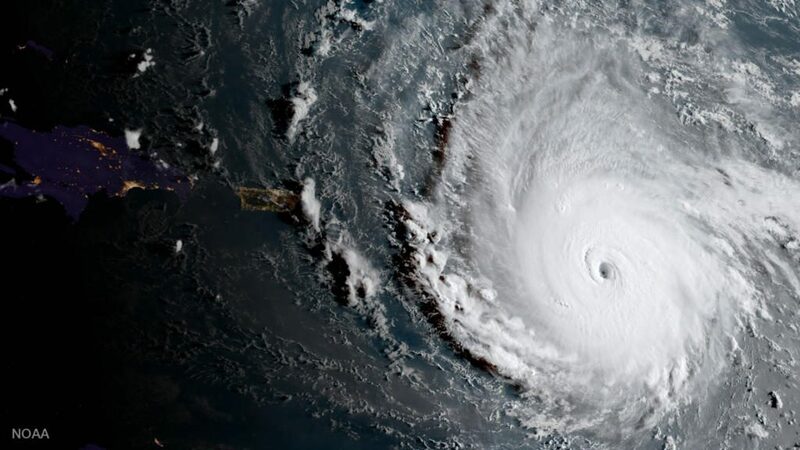 The National Oceanic and Atmospheric Administration reported that Hurricane Florence had airlifted several sharks. 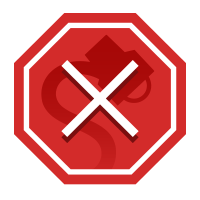 This image is, of course, a prank, with a news ticker digitally added as a reference to the Sharknado sci-fi movie series. Judging by the easily-missed watermark in the upper-right corner of the image (blurred out in the latter example), it was likely created on BreakYourOwnNews.com, a web site that allows users to generate their own fake news images. Although there have been reports of tornadoes lifting (and later dropping) various animals, the scenario depicted in the Sharknado series, in which a tornado caused dozens of great white sharks to rain from the sky, was far-fetched. The New York Times. 6 September 2017.